The Tarraco is expected to help bolster Seat’s corporate sales. Revealed this week, the Tarraco is the brand’s flagship model, positioned above the Arona and Ateca SUVs. Named after the city of Tarragona, it is built at the Volkswagen factory in Wolfsburg, alongside the Tiguan, with deliveries scheduled for the start of 2019. In the UK, the newcomer is expected to bring ‘considerable volume’ of new customers to the brand. It will launch with SE and Xcellence trim levels, the latter likely to be the bigger seller, with a choice of two petrol and two diesel engines, positioned at equivalent 148bhp and 188bhp outputs. Seat said ‘alternative drivetrains’ will follow, likely to utilise plug-in hybrid technology used elsewhere in the group. 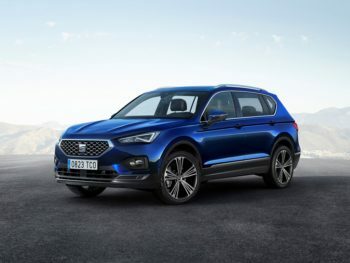 The Tarraco previews the next-generation Seat family design, with a more prominent grille, and features the latest assistance and safety features, a 10.25-inch digital instrument cluster and 8-inch infotainment with the brand’s first application of gesture control technology. DSG and four-wheel drive are standard on the 188bhp engines, and optional on the low-powered diesel. It launches as Seat is experiencing a sizeable increase in fleet volumes. The company recorded a 27% year-on-year rise overall in the first six months of the year, to 20,595 units, while ‘true fleet’ grew to 10,987 units (up 45%) in the same period, putting it among the top ten best-selling brands in that part of the market, with a 4% share.